Milena is actively involved in a number of accelerators and angel groups across the US, including Life Science Angels (Palo Alto, CA) and HealthTech Capital (Palo Alto, CA), Blueprint Health (NYC) and others. In 2013, Milena Adamian was named to the TechWeek100 list of leaders in NYC area with significant impact in business and technology. Milena’s past and present Board involvements include Xoft (now NYSE: ICAD), Cardiovascular Systems (now NYSE: CSII), Forge Medical, Precise Light Surgical, Quartzy, Comprehend Systems, VitaPortal (Russia), Medesk (Russia). Dr. Adamian is a member of the American College of Cardiology. She is also an author of a number of scientific peer-reviewed papers and a frequent speaker at professional conferences. Dr. Adamian holds a MSc degree in Biostatistics and Clinical Research Methods from Mailman School of Public Health at Columbia University, and MD and PhD degrees in Clinical Cardiology from Russian Academy of Medical Sciences. 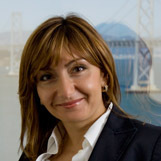 Dr. Adamian continues her involvement at Life Science Angels (Palo Alto, CA) and HealthTech Capital (Palo Alto, CA). Anat received her PhD from MIT where she applied behavioral economics methods to measure intergroup collaboration and behavior change. 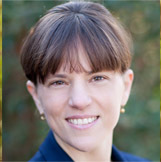 Anat is also a lawyer and practiced law in Israel where she advised technology companies and subsequently worked as an assistant to Israel’s State Attorney. Prior to her PhD, Anat founded a successful social startup, MEET. Anat holds a law degree (LLB) from Hebrew University, an MPA from Columbia University and a PhD from MIT. 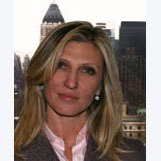 Oksana has 10 years of diverse experience in healthcare including providing direct patient care, clinical research, medical device trials and developing strategy for pharmaceutical marketing at NYC Hospitals. She has worked for a New York City based Neurosurgery Group, Eli Lilly and Pfizer. In addition, Oksana comes with entrepreneurial experience in real estate market in Greenwich, CT.
Born in Ukraine, Oksana started her career in education and came to the United States to be an Assistant Professor of Russian Language at the University of Maine. She received an MA in Linguistics from the University of Ukraine and BSRN from New York University. Matthew currently researches IC-enabled sensor platforms for chemical and biological applications in the Bioelectronic Systems Lab at Columbia University. He was a co-founder of Helixis, a biotech instrumentation company developing low-cost, high-speed molecular diagnostics products that was acquired by Illumina in 2010. Matthew has also held internships with Cavium Networks and The Aerospace Corporation. He holds an M.S. and Ph.D. in Electrical Engineering from Columbia University and a B.S. in Electrical Engineering from Caltech. 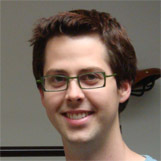 Andrew is a physician and a third year student at NYU School of Law. He received a B.S. in Biology from Baylor University, received an M.D. from Baylor College of Medicine as a BU/BCM Medical Track Scholar, and completed a year of residency in General Surgery at Baylor College of Medicine. 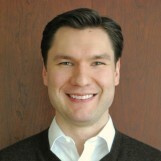 Andrew is currently an InSITE Fellow and the Editor-in-Chief of the NYU Journal of Law & Business. After graduation, Andrew will join Wilson Sonsini Goodrich & Rosati in Palo Alto as a corporate associate.